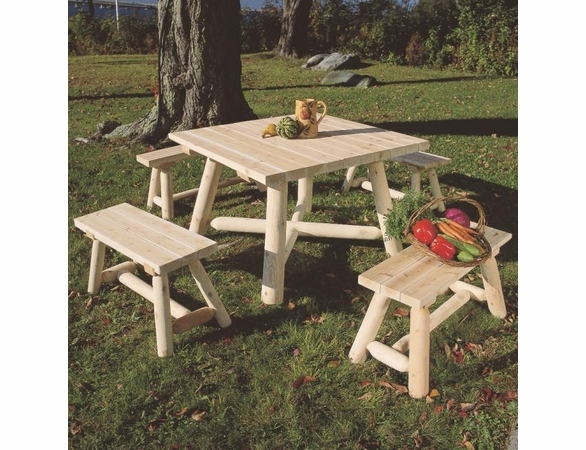 When the weather’s fine, you will naturally want to maximize your time outside to soak up the sun. 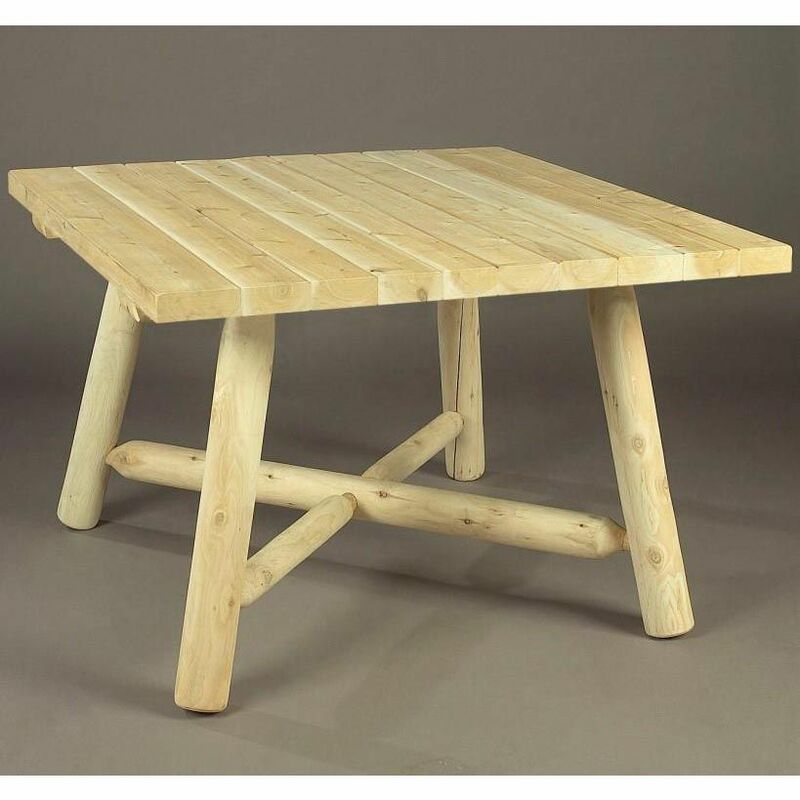 The Square Cedar Log-Style Table and Benches from Cedarwood Furniture give you everything you need in one complete package for fun in the sun with family and friends. 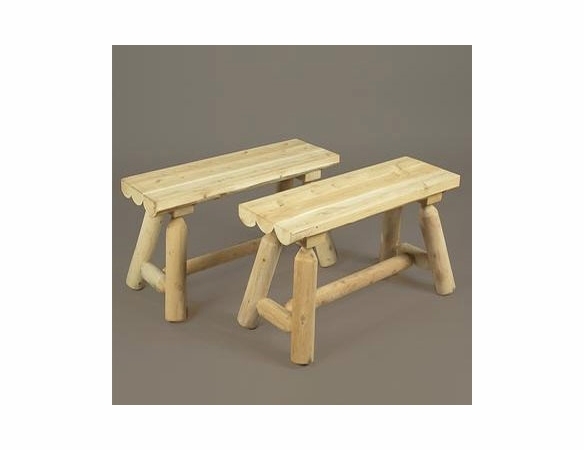 Made in Canada of naturally insect- and weather-resistant Northern white cedar, this picnic set includes one 28”-tall table with a 42” square top and four benches measuring 17” tall by 35” wide by 15” deep. 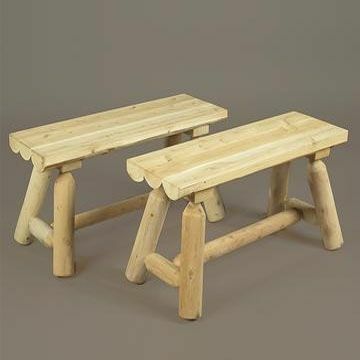 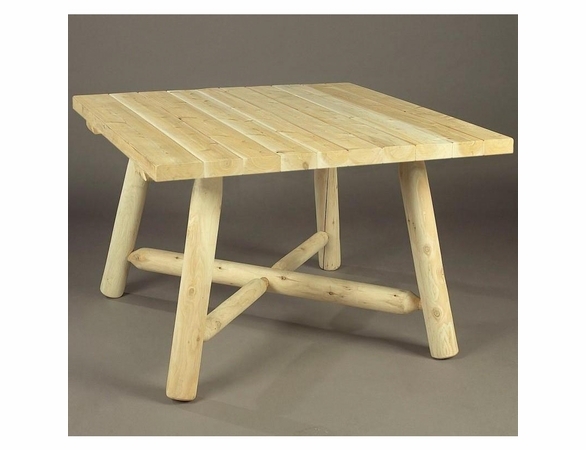 Our Square Log Style Picnic Table Set Includes (1) Large Square Table #RC-130 and (4) Straight Benches #RC-20A.